A true PCI compliant and Secure Online Bill Payment / Electronic Invoice Solution. Go paperless and save on postage. Brand your invoices and send them vial email. Your customer can click a pay link and enter their credit card information online and process their payment electronically. You receive notification of payment and receive funds into your merchant account. You can track payments through an online gateway. Manage your accounts receivable, email invoices to customers, and receive electronic payments—all without a web site or expensive accounting software! The entire process is simple and convenient to use. We provide professional support every step of the way. 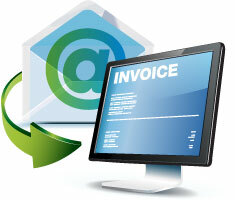 Create and Manage invoices through an online gateway we offer. Set due dates, manage product, and record PO numbers. Customize invoices with merchant’s own logo. Email all or selected invoices to customers. Receive instant notification when an invoice has been paid. Eliminate expensive invoice management systems. Secure all data on a true PCI compliant gateway.